High SES, low SES… What’s the big deal? Singaporeans regardless of race, language or religion (and Socio-Economic Status) love their hawker food. But ‘high SES’-quality food, at ‘low SES’ hawker prices, who would say no to that? From haute cuisine to the hawker scene, these ex-restaurant chefs courageously ditched their toque blanches for t-shirts and shorts. With this, I present to you 8 hawker stalls in Singapore that are helmed by accomplished ex-restaurant chefs. 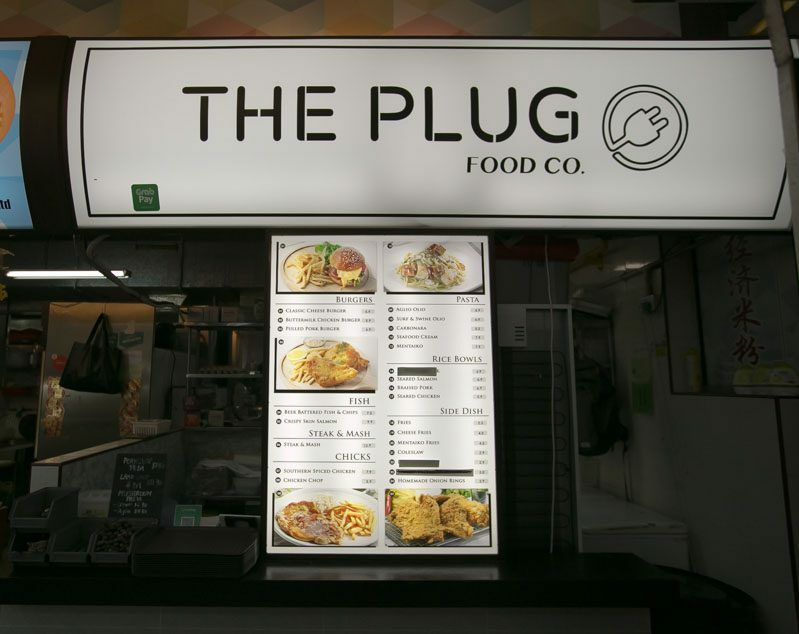 Located in a Kopitiam behind Eunos MRT, The Plug Food Co. is run by an ambitious young trio. Chef Donavan met one of his partners, Louis, at Privé. Their aspirations materialised when they came across a vacant shop in Best Café Coffeeshop. Seeing it as a wonderful opportunity, they paired up with Kevin, the owner of the coffeeshop. “We wanted to be our own boss. This allows us to have more creative control over the dishes.” Chef Donavan steps out of the kitchen to tell us. So if you happen to be in the vicinity, head down to support this three young hawkerpreneurs. Some of their must-try include the Pulled Pork Burger ($6.90) and Beer Battered Fish and Chips ($6.90). Who can resist a steaming basket of juicy and mouthwatering soup dumplings? Certainly not us. Supreme Ramen Xiao Long Bao is reigned by Chinese chef, Li Huaizhi who serves up really affordable and superb Chinese cuisines. Armed with over two decades of experience as a dim sum chef, with the likes of popular chain restaurants such as Crystal Jade and Tung Lok Group, he decided to venture out to open a stall of his own. He reaches the coffeeshop three hours before opening hours to begin his preparation for the first half of the day. From 1.30pm to 4.30pm, they pull down the shutters, but instead of a break, they spend these three hours preparing for the second half of the day. Due to the limited manpower, his wife who is a teacher goes down to help him in her free time. Business is brisk and we had to wait until the lunch crowd subsided (or rather, until they sold out their last basket of xiao long baos), before we could have a short chat with them. When asked why he did not hire a helper, Chef Li told us that he wanted to ensure that every single dumpling was up to standards. That goes without saying, but if you’re here, be sure to try out their Shanghai Xiao Long Bao ($4.50 for 6 pieces). It is definitely well worth the wait! Scones ($2), Earl Grey Berries ($16), Matcha Azuki ($14) Pound Cakes available in a Kopitiam? The talented man behind all of these is none other than Melvin Koh, an ex-pastry chef at MBS. Nestled in a hipster enclave, Tiong Bahru, home to many cafes, it is very easy for this unpretentious hole-in-the-wall bakery to go unnoticed. However, since its opening in 2013, Nicher has garnered quite a steady following. So the next time you’re looking for a place to satisfy your cake cravings, perhaps you can give Nicher a shot! Ramen stalls in Singapore are a dime a dozen. 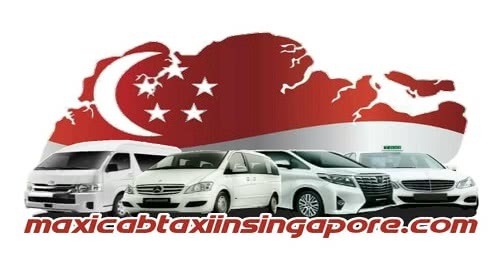 However, one that’s in a hawker centre and has been featured on the Michelin Bib Gourmand list for two consecutive years — it has got to be really good and affordable. After graduating from culinary school, the two young hawkers, Gwern and Ben went on to pave their ways in the F&B scene, gaining accolades from Michelin-starred restaurants such as Waku Ghin, Saint Pierre and Iggy’s. That was before their passion led them to set up their own shop, A Noodle Story in Amoy Street Food Centre. Their efforts and hard work are evident in their success with the opening of their overseas franchise in Causeway Bay, Hong Kong. So if you are willing to spend the majority of your lunch hour queuing and working up a sweat in a hawker centre, you have to get their Singapore-Style Ramen ($8 for small, $11 for medium). Well, since you’ve already gone through that much just to get that bowl of noodles, we’d suggest just getting the medium bowl. It’s definitely #worthit. Another new kid on the block in the Hawker scene would be Meet 4 Meat’s Chef Jimmy and Gerald. For years, this pair of best friends has always talked about their dreams of redefining the accessibility of gourmet food. “We wanted to make gourmet food more affordable for the younger generation, and have it in a more casual dining location,” says Jimmy, an ex-chef at Wooloomooloo Steakhouse in Swissôtel. For those that have never tried this dish, the price of their Beef Wellington ($27) would definitely be one of the main reasons for you to make your way to the East. For less than half the price of those sold in upscale restaurants and steakhouses, it comes with a piece of pan-fried foie gras. We highly recommend their tantalising flame-grills and homemade pasta! Previously known as Le Bouillon, this humble establishment in Clifford Centre’s NTUC Foodfare is a hit with the office crowd. Little Bowl Singapore is helmed by three chefs that met in Saveur — Kurt, Wei Lun and Yew Tee. For the quality of the food, and the pleasing presentation that screams ‘atas!’ this Prawn Aglio Olio ($7.90) is definitely a bang-for-your-buck. They also serve Eel Rice Bowl ($6.90) and many other affordable bowls (that are definitely not little). From a teppanyaki chef at M hotel to owning his own Japanese restaurant along Seah Street, Chef Francis has spent a good two decades in the F&B industry. After a short hiatus, he is back and operating in a small and unassuming Kopitiam stall in Toa Payoh called Yokozuna Stall. “Even on our rest days, I’ll ask my wife to go with me and eat at some Japanese restaurant, and she’ll say I’m siao (crazy)”, he chuckles. His love and passion for Japanese Cuisine are unparalleled and this is reflected in his innovative creations. One of the must-try is definitely their Yoko-Yoko ($6), a dish that you would not be able to find elsewhere. Priced at $6.80, their lunch sets were very value-for-money as they came with a drink and a mini appetiser. This Muslim-owned stall is owned by three budding Hawkerpreneurs who were set on redefining burgers for the masses. After quitting their jobs as restaurant chefs at highly reputable restaurants in Singapore and Dubai, the trio came together to set up Burgs by Project Warung. As a testament to their success, they have recently expanded, with Viva Business Park as the home ground for their second outlet. Their extensive menu varies per location, ranging from The Classic ($5) and other satisfying customised burgers to innovative sides such as Pizza Fries ($4.50) and Okonomiyaki-Style Signature Boneless Wings ($4.90). They even serve Teh Tarik Ice Cream Sandwich ($3). So if you’re looking to get your gourmet burger fix for just $5, check out Burgs by Project Warung.